Aloes are the flagship plants of Africa, vividly defining the landscapes in which they occur. In garden settings, these stately succulent plants capture the allure of the African savanna and serve as excellent focus plants around which other indigenous plants can be successfully grouped. 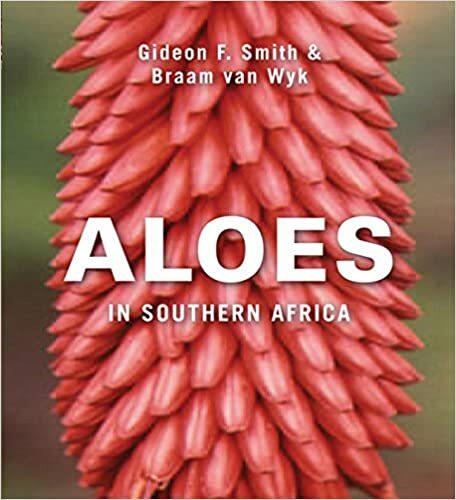 Aloes in Southern Africa explores the character and biology of African aloes, describing their habits, characteristic features and distribution in nature. It also details 58 aloe and related species across several vegetation zones. Aloe cultivation and propagation is discussed too, providing insight into optimum growing conditions, gardening styles and plants that flourish in different regions. A feature on medicinal, cosmetic and culinary uses reveals the special properties of these intriguing plants. Whether you are starting a garden, redeveloping one or simply looking to expand your knowledge of these fascinating succulents, Aloes in Southern Africa will prove an invaluable guide.